I cannot help drawing these simple portraits of cats. Drawing the fur is always such a wonderful challenge and I will never tire of trying to capture the elusive looks they cast, the elegance and their sense of purpose. 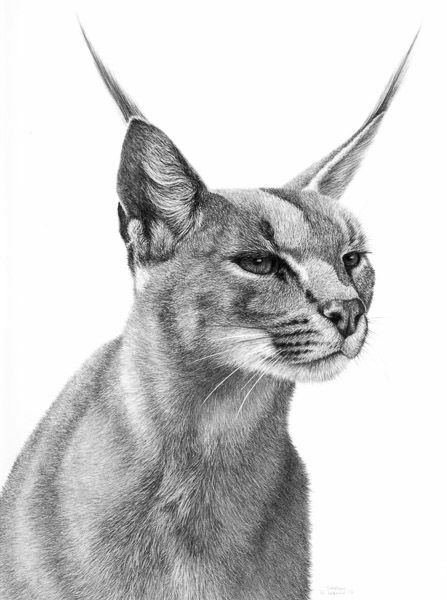 The caracal is surely one of the most beautiful animals.